Image sourced from Automotive Design & Production. 3D printing is an industry rapidly growing in importance. Its novelty goes beyond being able to print things on demand. New developments are making the printing process quicker and cheaper. 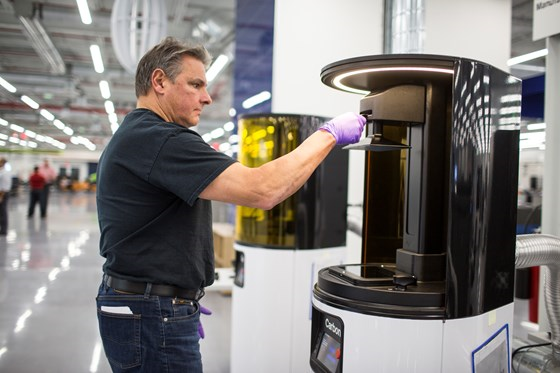 Not only will this make products accessible to larger audiences, but it opens the door for 3D printing systems to be used in sectors outside of manufacturing. Improvements on the speed of 3d printing—also known as additive manufacturing—are certainly worth noting. 3D printing is known for being a slow and arduous process; shapes are created as material is deposited pixel by pixel, layer by layer. Engineers at the UC Berkeley are changing that, using UV-sensitive resins that can be molded with light. Their system shines light directly into material that hardens as the light passes through it. This approach is markedly faster than traditional 3D printing systems—it can print a 4-inch object in 30-120 seconds. It also makes for more polished end results. There isn’t always cohesion with each layer that an additive manufacturing system lays out, causing objects to sometimes have ridges that are easy to see and feel. When UV light hits the resins, the object forms exactly to the specified shape, smooth and sans ridges. Multiple variations of the same shape can be printed and they will be identical in shape, texture, and feel. Image sourced from The Medical Futurist. 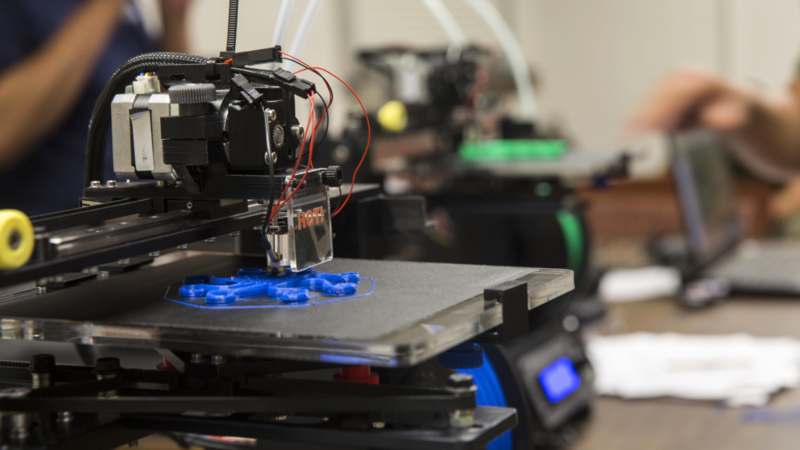 Developments in the 3d printing sector haven’t been limited to research labs at universities, however. Additive manufacturing is also making its way to Pharma. In recent months, pharmaceutical companies have been experimenting with 3D printing to bring two major changes. Firstly, 3D printing is a cheaper method of producing pills. This will be especially impactful to the development and sale of ‘orphan drugs’, those that have been shelved due to a lack of profitability. Most often, these are medicines for rare diseases. Making them is costly; only a small portion of the population requires them, and an even smaller fraction of this group can afford them. 3D printing these pills is a cheaper way of producing the drugs and guarantees access for those in need. The second major change 3D printing is bringing to pharma deals with pill engineering. As mentioned, 3D printing deposits material by individual pixels and layers. Such precision allows for pills to be printed in exact dosages, instead of having to take multiple one-size options. Being able to create pills layer by layer also gives scientists more control over how medicine is released throughout the body. Lastly, patients that have to combine multiple prescriptions for treatment could soon have single pills that contain all their medicine. Additive manufacturing’s effect on the global economy cannot be understated. Thanks to recent advancements, the process is becoming faster and less expensive, and is making its way to new industries. May 14-15: IIT Alternative Fuels Workshop. What Alternative fuel is the best option for medium and heavy-duty vehicles in the Midwest? Join us for a workshop that explores the answer to this pressing question. In IIT’s Second Alternative Fuels Workshop, we will be learning about alternative fuels available in the Midwest that are viable replacements on modern vehicles. Sessions at this workshop will focus on hydrogen use in the transportation field, the production and certification of drop-in biofuels, and gaseous fuels created from waste products. Experts in the field will present the current challenges in producing and utilizing these fuels and the technological advancements needed for their successful application in medium and heavy-duty vehicles. .
May 16: 2019 Green Drives Conference and Expo. Chicago Area Clean Cities invites you to attend its eighth annual Green Drives Conference and Expo on Thursday, May 16, at the Northern Illinois University Conference Center in Naperville, IL. Transportation now accounts for the largest portion of total U.S. Greenhouse Gas Emissions and is a major contributor to the Chicago area’s air quality issues. Green Drives is a must-attend event for government officials, commercial and municipal fleet managers, small businesses, and clean-tech and clean-energy professionals who want to learn how to use cleaner, lower emissions fuels and technologies, while saving money.